Crushing victory over AC Milan in Europe is usually a cause for great celebration for a club, a sign that they are on course for great success. With Arsenal, things are never quite that simple. The cycle of an Arsenal crisis is well rehearsed after the annual slump in form which usually arrests the club’s season hits in. This year however, the crisis is definitely different. Previously, a split fanbase amused the world through Arsenal Fan TV as the rest of the football community wondered what they could have to really complain about. A shiny stadium, fine football, regular Champions League action and top class players. Now though, there is not much of a split anymore, and there is no Champions League football. Arsenal have been in almost the opposite of freefall for the last decade, their stagnation so slow and staggered that it is only now, with the club lower than they have been since the pre-Arsene Wenger days, out of the Champions League, with their lowest points tally for two decades and even below Tottenham Hotspur, that the point has been reached where the talk of crisis is finally justified. Suddenly fans on both sides of the Wenger in/out debate are united in that they can see that the club has gone seriously wrong. 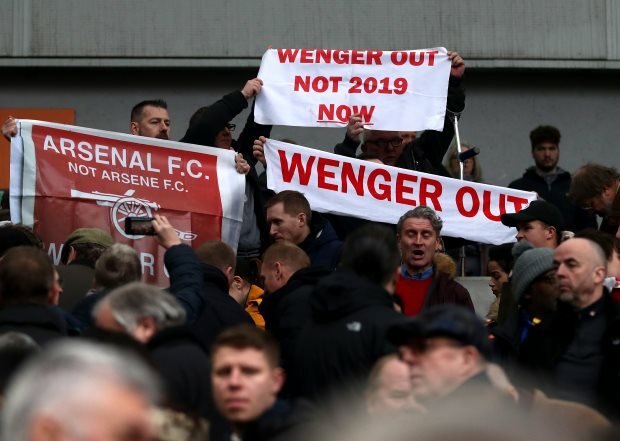 And while the ‘Wenger Out’ brigade are increasingly determined in their desire to see the Frenchman leave, supporters who would once have defended him to the hilt are now happy to withdraw and leave them to do the dirty work of forcing change on the club. The fans on both sides however are powerless ultimately, because they need one man to act – Stan Kroenke. The American has generally refused to do that since arriving at the club and taking control. He has avoided engaging meaningfully with the fans, and despite the occasional interview to a journalist to remind the fanbase that he is apparently a winner driven for success, the actions of his reign have led some to feel that he is only really concerned with how his investment is holding up. It is this, more than anything, which has helped create a culture of complacency at the club since Kroenke took over. And the bitter rivals across north London are testament to the drift which has affected the Emirates. Tottenham have spent less on players and pay their stars less money than Arsenal. But they have overtaken the Gunners for the first time in over 20 years, with a revolutionary manager playing the kind of attacking football the red side of north London were once revered for, while turning unknown youngsters into top class talents. 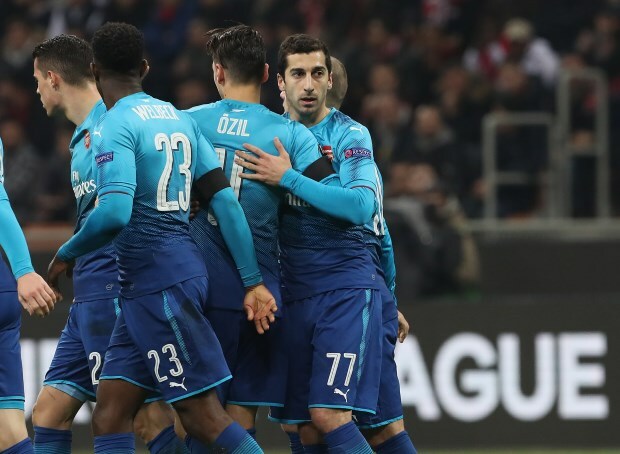 Arsenal fans’ glee at their neighbours’ collapse against Juventus in the Champions League casts a damning light on the power shift – now forced to enjoy their rivals’ failures in Europe’s elite competition, whilst plodding on in the Europa League. The roles are completely reversed. Most damning of all for Wenger, is the way in which Arsenal play. At the height of his reign Arsenal dominated through their fast incisive passing. Quick one twos and triangles of passing which opponents couldn’t keep up with, relentlessly creating space which was exploited with ruthless efficiency by the likes of Thierry Henry, Robert Pires and Freddie Ljungberg, supported by the mercurial genius of Dennis Bergkamp. The current squad are nowhere near that class. Only Mesut Ozil would get near the starting eleven of the Invincibles (although Hector Bellerin would also have a chance). Arsenal’s central midfield has not functioned properly since Santi Cazorla’s injury. The team simply do not pass the ball well, play the final pass well, or create space efficiently anymore. And the Gunners are mentally shot. Wenger’s Arsenal reign can be split into three broad periods. The first, from his arrival through to 2004, was a period of success unseen in north London since the 1930s. The second, through from 2005 to 2013, saw the club move into a new stadium and desperately battle to stay competitive in a rapidly changing world where Sheikhs and Russian billionaires have ploughed in vast sums to their teams. Up until the end of this second period, Wenger always had a reasonable excuse for the relative decline in the club’s fortunes. Financial self-constraint at a time when Manchester City were taken over by a billionaire with bottomless resources one minute and buying Robinho the next brings its own ceiling. However since 2013, Arsenal have started to spend again. Ozil arrived, and so did Alexis Sanchez. Alexandre Lacazette was bought as the club’s record signing last summer, and Pierre-Emerick Aubameyang has taken over that mantle already. This is not a club of paupers anymore. Essentially, the third phase of Wenger was the true test of whether he had lost it or whether, restored to a position of competitiveness with extra funds available, he could return to his lofty perch. The first season of this third phase, Arsenal pushed hard for the title until February and then collapsed. Then they bought Sanchez but saw Chelsea romp away with the title whilst injuries hit the team hard. The following year Leicester stunned the world by winning the league. But it was last year when Wenger finally ran out of excuses. It is easy to forget that it was the start of November last season, and Arsenal were top of the table and looking competitive. And up to the middle of January, Arsenal were the closest challengers to Chelsea at the top of the table. 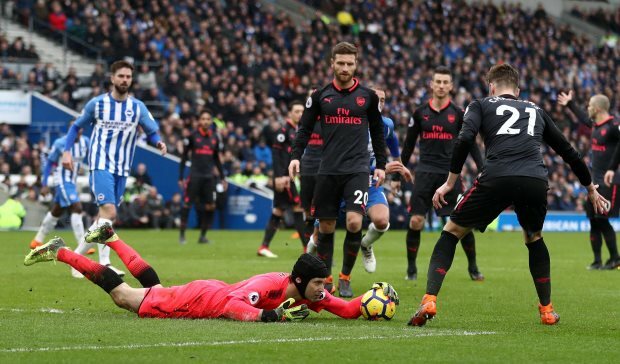 The subsequent collapse had no excuse and with it, only one conclusion could be reached – Wenger simply could not organise his team tactically, technically and mentally to succeed. It is that more than anything which led to the most spectacular collapse of his reign last season, with players and fans mentally destroyed by the realisation that it was they, and not the excuses previously employed, holding the club back. An Arsenal crisis under the Frenchman had never lasted more than a few games until last season, simply because the players have always had faith in him. Never before had there been any leaks to the press about discord behind the scenes at Wenger’s methods specifically, as has happened recently. 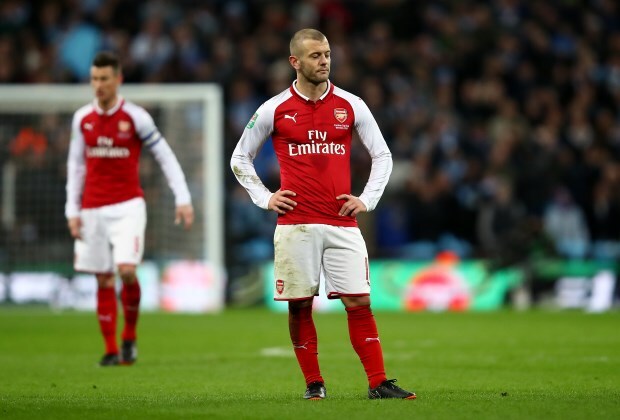 Since last year’s collapse, Arsenal have stumbled on, having been shocked back into life by the back three Wenger employed which ultimately helped lead the club to their FA Cup triumph last May. 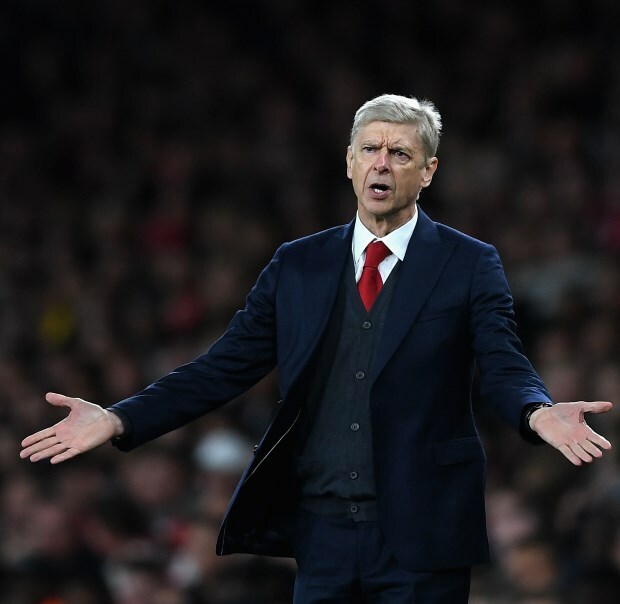 Above him, there have been political manoeuvrings, with Sven Mislintat brought in to head up recruitment, Per Metersacker to become the head of the club’s academy and Raul Sanllehi arriving from Barcelona with the unofficial job title of ‘Not the Director of Football unless Monsieur Wenger has departed’. Chief executive Ivan Gazidis, to the outside eye, appears to be very clearly creating the structures for the club to move on to life without Wenger. And that is because something fundamental changed at Arsenal when last season’s collapse happened. It crumbled the faith of the most ardent Wenger supporters. Every season there has always been a reason to believe for those Arsenal fans who still wanted to that they could be about to turn the corner, until this campaign. Last year’s collapse, without any protective excuses for Wenger to fall back on, ensured that this season started as the first of his reign in which Arsenal fans did not dare to dream or to hope. And when that is gone, then it is not long until the manager is too.